The iPhone comes with its own virtual assistant software called Siri, but here are three reasons why Google Now should replace Siri on your iPhone. While Google Now can be seen as an Android feature mostly, you may not know that it’s also available on the iPhone, where iOS users can take advantage of Google Now without having Android. Google Now is essentially Android’s version of Siri with some exclusive features that make it a bit unique. You can use it to search the web and even look at trip information, weather, stocks, etc. without even searching for it, which is pretty cool. Both Siri and Google Now have their pros and cons, especially on the iPhone, but depending on you use virtual assistants and what you use them for, Google Now might actually be a better option for you. Here are three reasons why Google Now should replace Siri on your iPhone. What makes Google Now really awesome is that you can get the information you need without even searching for it in the first place. Things like weather, stocks, sports scores, news, etc. can all be accessed in Google Now just by opening up the Google app on the iPhone. You’ll even get trip information if you’re traveling, as well as some general information about the city that you’re currently in, which can be great if you’re visiting someplace for the first time. 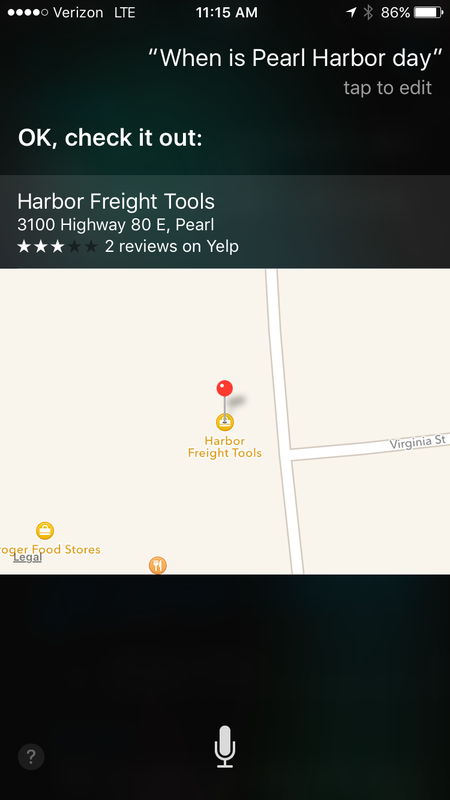 You can get this information using Siri, but you have to search for it first by asking Siri to bring it up. With Google Now, it saves a little bit of time and adds a nice little convenience. This varies from user to user, but I find that Google Now is a lot better at correctly recognizing what I say, while Siri can sometimes be a hit or miss. More often than not, Siri will get words wrong, especially if they’re compound words or more complex words, and she’s even gotten homophones wrong, like “reel” or “real” and “pray” or “prey”. Google Now, however, does a much better job with this, and even if I do really bad job at enunciating and speaking clearly, Google Now usually picks up exactly what I’m saying without a problem, which is really impressive. On top of Google Now’s better voice recognition, I also feel like Google Now’s voice search capabilities gives me much better search results than Siri can. 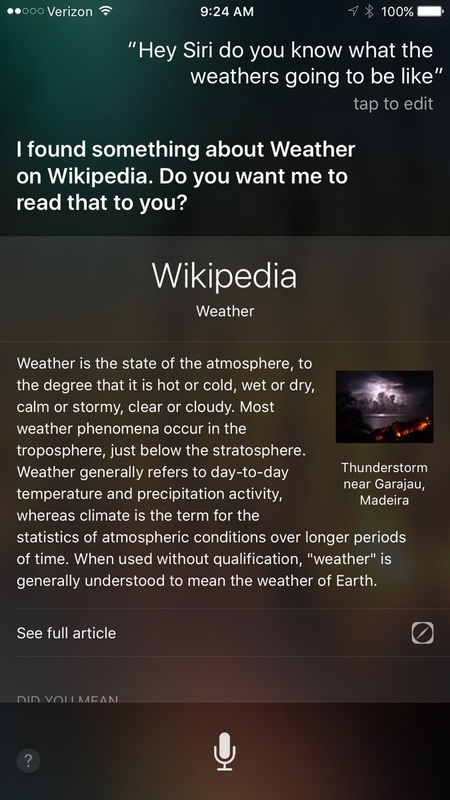 There are a handful of things that Siri hasn’t nailed down quite yet, like asking Siri what the weather will be like may not actually give you the weather, or asking her when a certain date is will bring up something completely different. I have yet to come across this with Google Now, so if I need to search the web for something, I tend to use Google’s voice search feature instead of Siri. Don’t get me wrong, though, Siri is great at many things, and its iOS integration makes it an obvious choice if you use Siri to do a lot of iOS-related tasks, like read back text messages and set reminders, but if you find that you mostly use Siri to perform web searches and get answers to questions, you may want to give Google Now a try. It’s search capabilities seem far superior to Siri’s. Plus, Google Now is terrific at recognizing natural language and not having to speak clearly and enunciate every time you perform a voice search, which makes you sound less like a weirdo when you use voice search.